Reach us at 740-363-9741 for your next dentist appointment. Our dental office is dedicated to providing the best quality family and cosmetic dentistry for our patients. Our mission is to work collaboratively with you to achieve your goals for oral health. 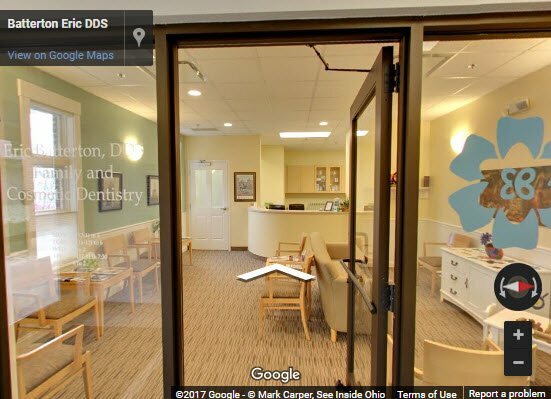 We deliver evidence-based dentistry in a caring, fun, and comfortable environment. View photos of some of our patients before and after specific services were performed. See how dramatic the results can be, and how happy our patients are afterwards. 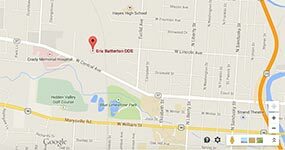 Our dental office is easy to find in the City of Delaware, Ohio. 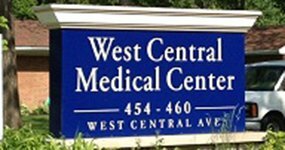 We're located at 460 West Central Ave (SR37), just east of Grady Memorial Hospital on the north side of the road.